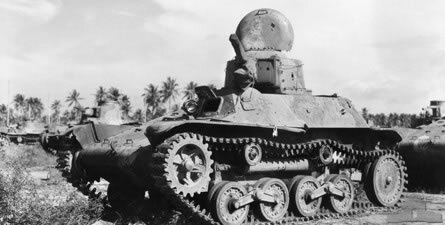 The Japanese Type 97 Te-Ke Tankettee was the last of Japan’s 2 man tankette’s. It’s 65bhp diesel engine was mounted in the rear. Its 37mm main gun did well against the little armoured opisition of the Chinese, but by 1943 most had been withdrawn and used in fixed defensive positions.